ALEKSANDAR DOJKOVIC - tenor . . . . . . . . . * C.V. * . . . . .
Belgrade, in Serbia, is his native city, a place where he studied and where he is now living and working. His love for music dates from his early childhood, due to his mother, who was a professional music teacher. In the middle of his Law studies, his love for opera prevailed and he began to take lessons in solo singing, in Belgrade. Afterwards, he went to France where he continued to improve his singing by working with Madame Chavrette Avrille. He completed his studies by a two-years work with baritone Maestro Nikola Mitic - soloist of the Belgrade's Opera. He also collaborated with other famous pedagogues, such as Master class Maestro Carlo Ventura and refinement Maestro Angel Surev - conducter. He performed as a soloist at home and abroad (Italy, France, Greece, Hungary, Albania and Macedonia). He is a permanent soloist First category in the National Theater Opera in Belgrade. Ordinarily he is performing in the Serbian National Theater Opera in Novi Sad and in the Opera and Theater Madlenianum in Belgrade as a Guest soloist. Up to this day, he has played 29 parts in different operas including twelve premieres. In November 2009, he performed in the absolute premiere of the Richard Strauss' opera Salome at National Opera in Tirana (Albania), interpreting the role of Narraboth. Aleksandar Dojkovic is the first Serbian operatic artist who has ever performed in the Albanian National Opera in Tirana - TKOB. He performed in concerts with several famous ensembles such as: Chorus and Orchestra of the Radio Television Serbia, Nish's Symphonic Orchestra, Belgrade's Opera Orchestra, Chamber Orchestra "Skopje Soloists". He made several permanent recordings for the Artistic program of the Serbia's National Television. He had the pleasure to be a member of the national or international cast including singers such as: Mauro Augustini, Kathleen McCalla, Piero Teranova, Sabina Puertolas Azara, Leandra Overmann †, Hans-Dieter Bader, Clarry Bartha, Nausicaa Policicchio, Svitlana Dekar, Trond Halstein Moe, Ragnhild Heiland Sorensen, Ingeborg Kosmo, Itziar Martinez Galdos, Robin Follman, Thomas Gazheli, Roy Stevans, Zeljko Lucic, Dunja Simic, Nikola Mitic, Zivan Saramandic †, Milka Stojanovic, Radmila Bakocevic, Jadranka Jovanovic, Jelena Vlahovic, Branislav Jatic, Boris Trajanov, Vesna Ginovska Ilkova and many others. On many opera stages he performed numerous roles. On April 2005 he is elected for Presidency member of UMUS - Association of Musical Artists of Serbia. On February 10th 2008 he is elected for Presidency member of UMUS - Association of Musical Artists of Serbia. 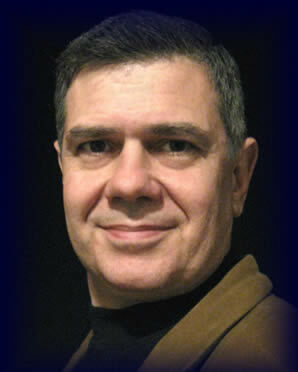 On April 2012 he is elected for Vice President of UMUS - Association of Musical Artists of Serbia. "... Ismaele (Aleksandar Dojkovic) has a fresh young tenor with promising future ahead of him. " Review of The performance of "Nabucco" - 05.05.2010. Published in the newsletter "Balkan Insight" on May 10th 2010. under "Life&Stile"
" Soloist of the National Theatre Opera, tenor Aleksandar Dojkovic, participated in an international project, to celebrate the twenty years of the fall of the Berlin Wall, by performing in the opera "Salome" by Richard Strauss, in Tirana. Thus, after 64 years long break, cooperation of our two opera houses was re-established, and the performance of our artist as a guest received great attention of Albanian media, while in November on the opera house building in Tirana, among others, Serbian flag has been erected. Aleksandar Dojkovic was among major artists of the European scene: opera was conducted by director of the Rome Opera maestro Nicola Colabianchi, play was directed the former director of the Monte Carlo’s opera Mrs. Patricia Panton, Salome was interpreted by the guest from Italy Mrs. Nausicaa Policicchio, the role of Johanan by the guest from Germany Mr. Thomas Gazheli, and the role of Herod by the guest from America Mr Roy Stevans ... the scenery was entrusted to a young Albanian painter and set designer Mr. Platon Bardhi, an Italian scholar who lives and works, for quite awhile, on the Apennines. Dojkovic was invited by the Director of Opera in Tirana, Mr. Zhani Ciko, after a successful performance of Belgrade’s "Salome" in Italy, in the year 2008. ... All performances of "Salome" in Tirana were very well-attended, and the recording will be aired on television... "
From the article published in the Serbian monthly “Theater News” No. 40, January 2010. "... Thanks to this Belgrade artist, Serbian flag was erected recently, on the top of the building of the National Opera of Albania. Participation in an international opera project, which was organized by Albanians, has brought to this soloist with a sonorous voice, the status of the first Serbian opera singer who ever stepped on the stage of National Opera in Tirana. Dojkovic’s performance was warmly welcomed by Albanian public and media, and his visit has created a space for much needed cultural cooperation between two neighboring nations. This international project was prepared on the occasion of 20 years of the fall of the Berlin Wall, and that’s why the famous German opera "Salome" by Richard Strauss has been chosen... "
From the interview published in the Serbian daily "Blic", on January 12th, 2010.
" He retorts the visit to Tefta Tashko Koço after 64 years. Aleksandar Dojkovic comes from Belgrade. The role of Narraboth, the commander of the guards of Herod, in the opera "Salome," he performed as a soloist in Tirana, for the first time. Moreover, he is the first Serbian opera singer who sings in Albania ... In the interview, he talks about the content of the opera, but also about Albanian - Serbian neighborhood ... "
published under “Culture", after the absolute Albanian premiere of the opera "Salome". "... Aleksandar Dojkovic's Ismaele has given an important contribution to this well sung opera, with the healthy, and involved singing of its tenor." Review "Premiere - New Version of Nabucco"
published in the weekly "Svedok", October 16 th 2007. STEREORAMA - PREMIERE OF "NABUCCO"
"... amongst the soloists, first of all, one should point out Jadranka Jovanovic as Abigaille, and Aleksandar Dojkovic in the role of Ismaele. With her voluminous voice, Jadranka Jovanovic has conquered the scene... Likewise could be said for Aleksandar Dojkovic, a lirico-spinto tenor, who, with the precious tonality and sonority of his voice, as well as the musical performance of his role, has given an outstanding impression. To this, we should add, his unobtrusive, but suggestive scenic manners, which gave to the realization of the role an additional quality." Review of The premiere of "Nabucco"– Radio Belgrade, "Stereorama", October 14 th 2007. WITH CHAMPAGNE - PREMIERE OF "THE BAT"
"... In two performances, two partitions can be observed, ... , the first partition of singers (*Dojkovic) is of much greater quality, more resourceful on the scene, more theatrically prepared than the second... , Aleksandar Dojkovic (Gabriel von Eisenstein) playing wonderfully, ingenious and charming, has reached his vocal peak in the played role."